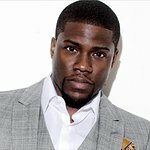 Actor, comedian and Rally Health Ambassador Kevin Hart, and E! News host Maria Menounos hosted a free outdoor health festival, Rally HealthFest, at Nelson A. Rockefeller Park in Battery Park City, lower Manhattan on Saturday, July 30, to show New Yorkers how making simple lifestyle changes can be a lot of fun and help improve their overall health. The New York Rally HealthFest featured fitness activities including boot camps, yoga classes, rock climbing and spin classes, as well as an interactive kids’ zone, all supported by Rally partner Asphalt Green, an NYC nonprofit. Attendees also had a chance to participate in a group workout with Ron “Boss” Everline, Kevin Hart’s personal trainer; got nutritional tips from young celebrity chef Haile Thomas; and earned prizes for participating in activities. There were plenty of healthy eats and beverages from Juice Press. Attendees also joined Rally partner DiamondBack to help build bicycles that will be donated to Madison Square Boys and Girls Club.